“The life Marlene has lived is closer to the life of original blues singers like Muddy Waters than any contemporary American blues artist” – Richard Field, Producer. Marlene Cummins knows the Blues from an Aboriginal woman’s perspective in this country and her story is one of vulnerability, strength and survival. She is an accomplished saxophonist, having refined her skills at the Berklee College of Music in Boston. Marlene regularly busks to maintain her love affair with the saxophone and develop her feel as a musician. 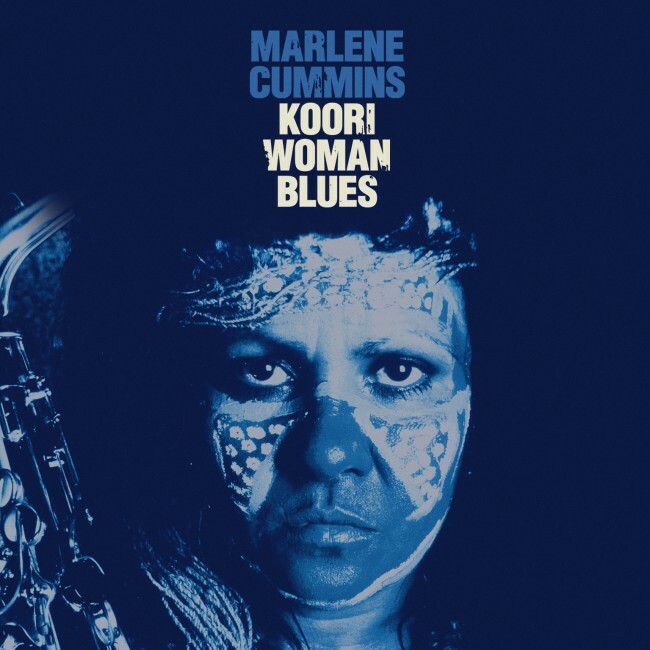 Marlene’s first full length album, Koori Woman Blues, was released to coincide with the release of a documentary, Black Panther Woman, which she made with award winning filmmaker Rachel Perkins about her life as a female member of the Black Panther Party. The film is an expose on the underbelly of Black experience in Australia from the 60s and 70s to now. The film has been making the international film festival rounds, recently winning the Special Jury Prize in Tahiti. The album presents a biographical journey comprised of a mixture of original and traditional blues numbers. The album’s centrepiece is the stirring epic blues anthem, Koori Woman. Marlene dedicates this song to Aboriginal women everywhere as they were, in her words, ‘the backbone of the struggle’. The album made the ARIA Blues and Roots Charts Top 20 in its first month and was in the top ten most ordered tracks to radio for the first four weeks via AMRAP’s Great Southern Airplay Charts. Recorded and Mixed by Phil Punch, Electric Ave Sydney. Artwork and Design by Jack Bumbledum and Debaser.